Ultrasurf is a free VPN helping users access blocked websites as well as geo-restricted services across the globe without any bandwidth and data usage limits. It works through the Windows based client and currently, only available for Windows operating system. However, you can install Google Chrome or Mozilla Firefox extension to take benefits of anonymous surfing. But, if you want to secure all traffic on your computer through a secure tunnel then below mentioned Ultrasurf alternative VPN’s are the best to use. It doesn’t require any installation like TunneBear, HideMyAss, etc. The only thing that may urge users to search an alternative to Ultrasurf is the availability of limited OS support. Currently, it can be used on Windows operating system and some browsers with the help of add-ons. There are a bunch of OS including Android, Linux, iOS, etc. that are not supported by Ultrasurf which might be the main reason you landed on this page. 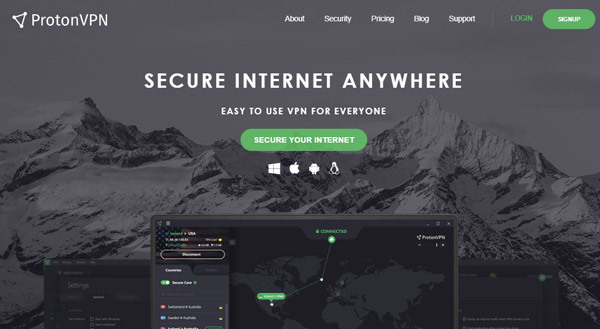 NordVPN is a robust VPN software backed with advanced features and military grade security protection to avoid data leaks, snoopy advertisers, and hackers. They have whopping 4200+ servers located worldwide and growing using which one can stream videos flawlessly, open censored websites, and bypass firewall. With up to 62 countries coverage, you can browse geo-restricted services like Netflix, Hulu, etc. and open country blocked content with fastest speeds. No matter where you belong to, you get outstanding surfing experience without facing performance issues. The availability of hundreds of servers ensures unforgettable browsing experience across the world with best-in-class 256-bit encryption protocols. VPNs means full privacy, right? So to secure your online activities, they don’t create logs of your sessions as well as browsing activities. All plans include unlimited bandwidth, two security layers, kill switch, and P2P data downloading. Compared to other services, NordVPN allows 6 simultaneous connections through different devices where most of the providers offer 3 or 5 connections. Just like any premium service, it can be used on Windows, Android, iOS, Mac, Chrome, and Firefox, etc. The company has round the clock customer support to resolve your problems in case of any. All paid packages come with 30-days money back guarantee as well. ExpressVPN is one of the best and top rated VPN services provider out there offering lightning fast and secure tunneling through 256-bit encryption to open censored websites. They are using business-grade and cutting-edge encryption protocols to ensure foolproof protection against ISPs, hackers, and spying eyes. Plus, kill switch feature restrict incoming and outgoing data traffic during disconnectivity. The company has VPN servers in 94+ countries and 145+ cities located strategically around the world to deliver unbeatable speed. All of their servers built with enterprise grade hardware, advanced data center facilities, and 24/7 monitoring to ensure 99.99% uptime guarantee. 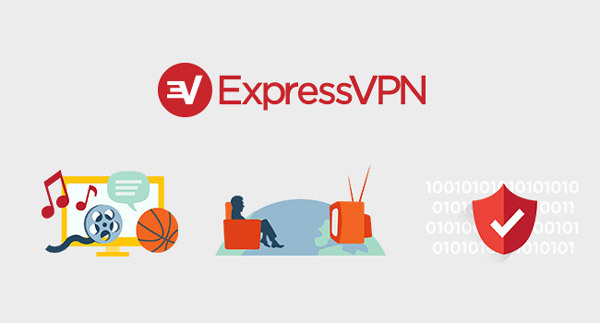 ExpressVPN is available for all the popular operating systems including Windows, Mac, Android, iOS, Linux, Gaming consoles, and Internet-enabled TVs. You can connect via the preferred protocol such as OpenVPN, L2TP-IPsec, PPTP, and SSTP, etc. according to needed security. It’s one of the few VPNs that doesn’t impact the internet browsing speed compared to others especially free ones. You’ll barely notice a slow internet speed when connected to the server which makes it the fastest VPN. Check out this full ExpressVPN review for in-depth details. IPVanish stands in the most reliable virtual private network services because of hundreds of servers, strongest 256-bit AES encryption, multiple security protocols, and strict no logs policy. They have more than 1000+ VPN servers positioned in more than 60 countries. So, you can select the most appropriate and nearest spot to your location for optimal performance. Choosing the closest VPN spot not only results in low latency but also high speed browsing. This Ultrasurf alternative also doesn’t take logs and utilize 40,000+ unique IPs hence provide secure internet usage. With 5 different concurrent connections, you can install IPVanish on Android, iOS, Mac, Windows, Linux based devices as well as routers to secure entire traffic. Setting up router configuration takes only a few minutes and eliminates the need for app installation on end-devices. Besides that, there are multiple protocols available including OpenVPN, L2TP, IPsec, and OpenVPN that can be used depending on the encryption level you want. Killswitch and split tunneling also included for all users. IPVanish also allows P2P and anonymous torrent downloading through protected servers with no bandwidth caps. The quality of services can be checked at no fees as each premium plan covered by a 7-day trial. Whenever you need technical help, just contact the support and they will fix the issue ASAP. Make use of this IPVanish discount coupon to get up to 46% off and save some bucks. If you cannot afford premium VPN then here’s CyberGhost which offers free and paid memberships. With over 20 million of users worldwide, it allows you bypass firewall restrictions, ISP monitoring, and evil eyes thus deliver secure browsing experience. It’s backed by AES encryption protocol, anti-fingerprint system, and strict no log policy in place. Beyond that, IP leak protection and DNS security ensure safe incoming/outgoing data requests. One of the major features of CyberGhost client is “Block Ads” which removes the advertisement codes because when you browse through the secure servers of CyberGhost, pull off the ads hence deliver high speeds. Furthermore, users having limited data volume should enable this functionality to avoid extra data consumption. The company has over 1300 VPN instances located in more than 60 countries and growing. That said, no matter from where you are, you’ll get maximum possible speed across the world. Regarding security, all VPN servers are encrypted by 256-bit AES and various protocols (OpenVPN, L2TP-IPsec, and PPTP) to conceal your IP address. You install and connect with 7 simultaneous devices running iOS, Android, Windows, Mac, Linux, and Routers, etc. There is no bandwidth and monthly traffic caps regarding downloads, torrenting, and VPN switching. An easy to navigate software comes with striking features regardless the device you use. Looking for a free alternative to Ultrasurf that offers not only free service but lightning fast speed? In that particular case, you’ll surely prefer to choose TunnelBear. It’s available for all the popular platforms like Android, iOS, Mac, Windows, and Web browsers to protect all of your gadgets with robust encryption. The “GhostBear” feature bypass VPN blocking system which means you can use it in countries where VPN’s are restricted. Just like CyberGhost and ExpressVPN, TunnelBear has a network of 20+ countries using which you can connect to the fastest available server. All you have to do is select “Auto Tunnel” feature which will determine automatically and connect to the closest server. No doubt, these are few locations but still, they deliver incredible performance across the globe. Vigilant Mode adds further protection by preventing sending and receiving unsecured traffic during connectivity interruptions. Even though they offer a free plan but it’s always better to optin premium subscription because it packs with all the advanced security protocols and no usage caps. 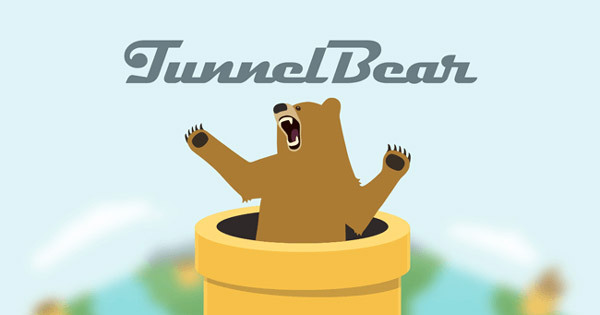 TunnelBear provides 500 MB per month to free users that can be boosted to an extra 1 GB by sharing a tweet. Nowadays everyone uses multiple devices like tablet, laptop, and phone, right? That’s why it allows 5 concurrent connections at the same time. Besides, they have a dedicated support team alongside knowledge base containing commonly asked questions. Compared to Ultrasurf, ProtonVPN is the best free VPN program to unblock censored sites and country-restricted content without compromising on the internet speed even as a free user. The company called “ProtonMail” has developed it to provide peace of mind surfing especially for activist, journalists, and individual peoples anonymously. They’ve Ciphers and Perfect Forward Secrecy measures in place to shield against traffic capturing and decrypting. When we talk about the data center locations, you might disappoint to know the fact that they only have 14 countries coverage where 112 VPN servers are placed. Don’t worry; these enterprise-class VPN’s are capable of delivering unforgettable experience compared to many others having hundreds of servers. The entire network built with the powerful 256-bit AES protocol, 2048-bit RSA key, and HMA with SHA256 security verification. For 99.99% uptime, each instance has 155 Gbps connectivity and 24/7 monitoring. The best thing about ProtonVPN is that it doesn’t apply bandwidth restrictions as well as network switching but there are some caps on advanced features for free subscribers. Still, without spending a single penny, you can access blocked websites. However, premium membership allows everything unlimited including high speed downloading, torrenting, and P2P downloading. Each paid plan backed by above industry standard money back guarantee of 60 days. 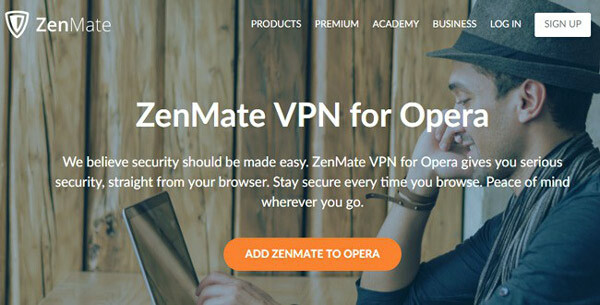 The users looking for all-in-one VPN solution to protect their entire devices regardless the operating system should choose Zenmate. It’s the best Ultrasurf alternative because of similar one-click connectivity button making it dead simple to use. As soon as you launch the VPN app, tap the Zenmate icon without doing anything else, and you’re good to go. Besides, switching to other countries and regions is also easy. Similar to Hotspot Shield program, this provider also served millions of users across the globe to open censored websites and geo-restricted content through 30 worldwide locations. They are utilizing the most potent 256-bit AES encryption technology and zero log policy adds further freedom. You’re free to download unlimited data, P2P traffic, anonymous torrenting, and flawless live streaming with no speed caps. The inclusion of malware and advertisers tracking blocking feature hides your online activities hence avoid annoying ads. There are more than 3000 shared IPs, 300+ VPN instances, and 30 regions to choose from allowing much versatility than Ultrasurf. You can install Zenmate on five simultaneous devices (Mac, iOS, Windows, Android) and web browsers including Google Chrome, Opera, and Mozilla Firefox. Last but not least, HSS is another virtual private network services provider helping millions of clients to access and enjoy watching favorite TV shows, sports, audio, gaming, live streaming, and contents blocked due to geo-locations or governments. At the time of the writing, more than 500 million users from 200+ countries downloaded and installed HSS softwares on Windows, Android, iOS, and Mac, etc. devices. Aren’t these captivating numbers? Apart from enormous numbers, it’s also featured on big forums including Forbes, ZDNet, Inc, NBC, FOX, Bloomberg, Business Insider, and ABC, etc. So, how they achieved such reputation and respect? First, they offer both paid and free services where a free user also gets premium speed which usually dedicated to paying clients. VPN companies primarily focus on paid customers to deliver excellent quality but it’s not true with Hotspot Shield. Second, they have one of the easiest to use software interface which is user friendly similar to Ultrasurf program. It only requires a few seconds to connect with the nearest VPN server regardless the device you have. No matter what you browse or watch, they never share your IP address neither sell to third parties. So, you can conceal IP, protect against malware, and enjoy private but secured web browsing. Conclusion – Which UltraSurf Alternative is Reliable? Ultrasurf is a free VPN tool to bypass firewalls, ISP restrictions, govt limitations through easy to use Windows client. It’s a good option for basic functionalities to access blocked content. But, when it comes to advanced features and dozens of locations, you might look for more advanced providers which I mentioned above. So which one should you choose for high speed browsing and robust security? I recommend NordVPN to get blazingly fast browsing experience, unlimited downloads, and military grade protection. They offer VPNs coverage of 62 countries, 4200+ servers, and double layer encryption with zero log policy. On top of that, split tunneling helps you open specific sites through a secure tunnel and the rest from your default ISP. Cannot afford paid VPN provider? In that case, selecting ProtonVPN would be the best decision you can make. Though they also have premium and free plans but you can opt-in the free subscription. It concedes several locations alongside essential features. Now take your time and figure out which Ultrasurf alternative fulfills your requirement under the budget. If online security is something you can’t compromise on then prefer to choose a paid VPN service.